A Happy-go-lucky man Ram (Kalyan Dev) is an aimless wanderer. His father Srinivasa Rao (Murali Sharma) loves his family more than anything in this world and looks after them in every way he can. But he is left devastated after realizing about his son`s failures and starts worrying about his family future. Can Ram step-up and become the man his father wants him to be?, forms the rest. Murali Sharma walks away with all the honours in a very important role as Father. Kalyan Dev is ordinary and is probably okay for a debutant. Malvika is decent and Thanikella Bharani is good. The gang of friends and others are adequate. Vijetha tries to remind us of Family values and how compromises are common in Middle-class life. This makes for a good proposition on paper but the execution is slow and predictable. 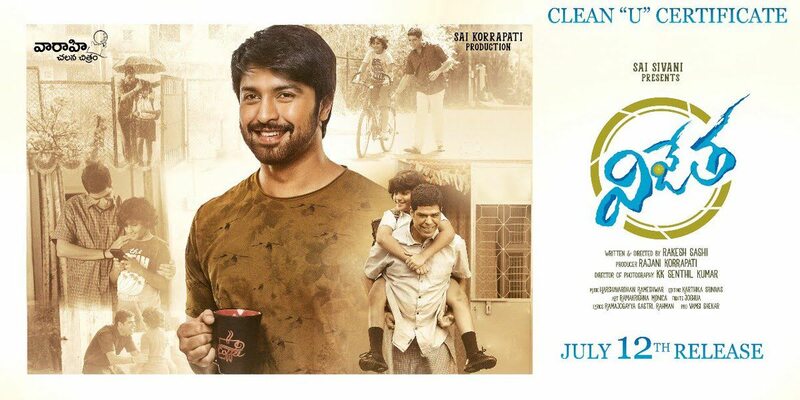 Vijetha still remains a decent film on the whole thanks to its relatable characters and emotions which largely work. The 2nd half of the film is especially better with a good climax. With some decent comedy thrown in here and there this is probably a Watchable affair but we would say, `At your own risk`. Box-office Verdict : With Worldwide Theatricals at 6 Cr apx and a 3way clash in opening weekend, this is unlikely to make much impact unless lots of luck goes its way. Punchline : Son of surprises!